After my last visit to Maggie Joan's Dining & Bar at Amoy Street last year, I am back again to the underground dining place, where the main entrance is located in the back alley to check out their expanded lunch menu of contemporary Mediterranean dishes. Chef Oliver has put together an assortment of starters, mains and sides using the freshest produce by incorporating familiar flavours of the Mediterranean to the dishes. 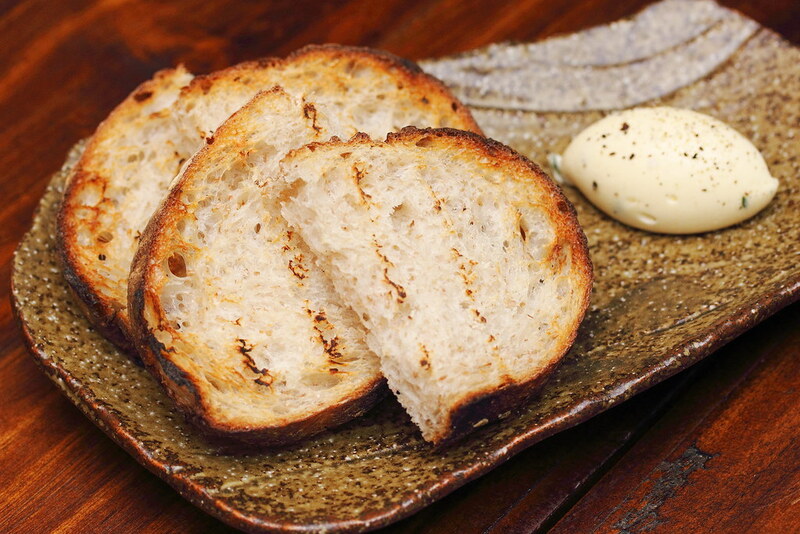 I hate the fact that the restaurant serves the complimentary Homemade Sourdough and Smoked Beef Fat Butter. This is too good to just stop at one. Unknowingly I probably have eaten a bit too much and already feeling a bit full after it. 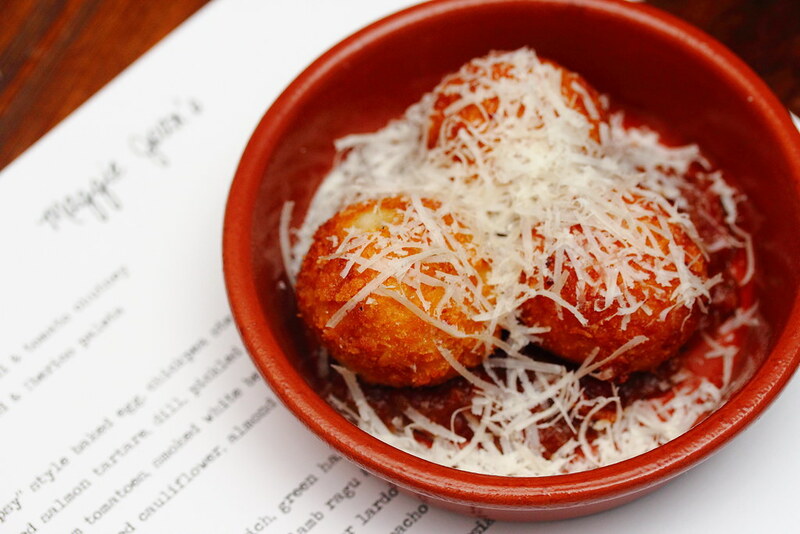 This is not your ordinary Cheese Arancini ($9). The risotto ball come with four different types of cheeses. There are gorgonzola, epoisse, langres and ricotta. Cheese lover will adore this. The tomato chutney sitting on the bottom of the plate, provided the extra lift and dimension to the dish. 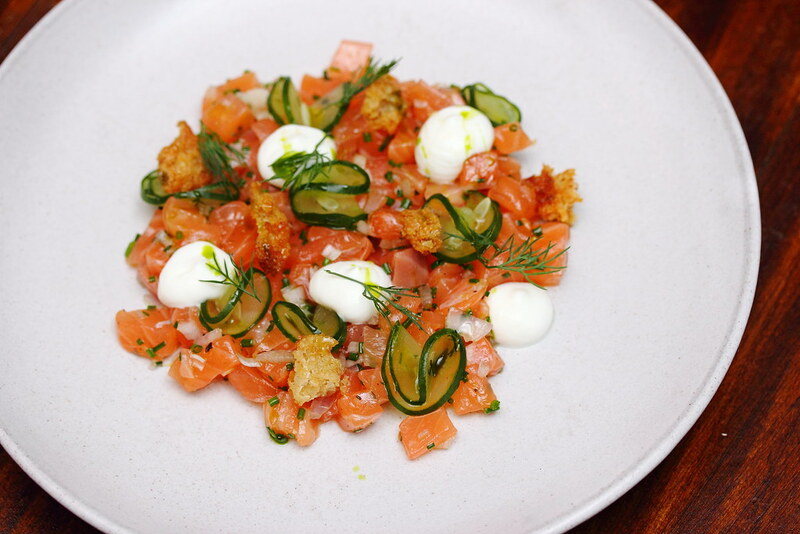 If you feel like eating clean, then the Cured Salmon Tartare ($17) is the ideal choice. The clean and sharp taste of the cured salmon is further topped with dill, pickled cucumber, sourdough crouton and yoghurt. One of my favourite dishes on the new menu, allowing me to enjoy the freshness to the fullest. 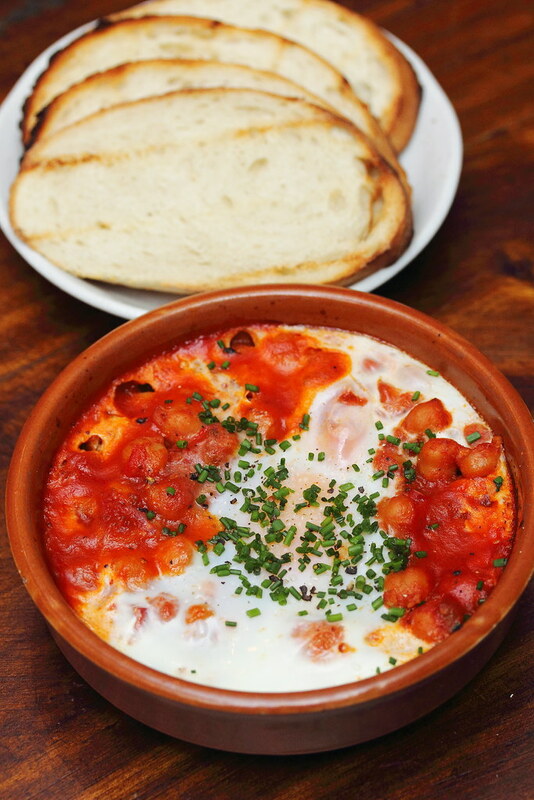 The Gypsy Style Baked Egg, Chickpea Stew & Chorizo ($16) is served together with some milk bread. 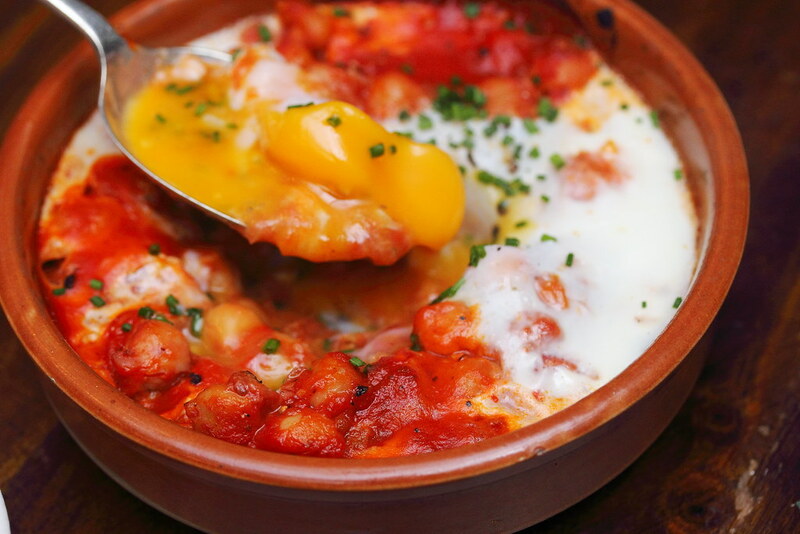 The Spanish inspired spiced chickpea stew comes with layers of textures and flavours. The more you dig into it, the different play of flavours tend to come through, coming together as one. 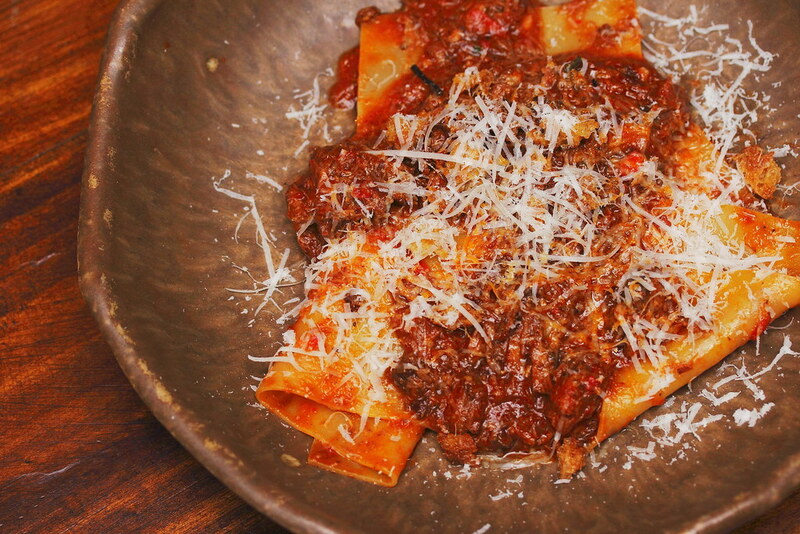 Not to be missed is the Homemade Pappardelle ($26). 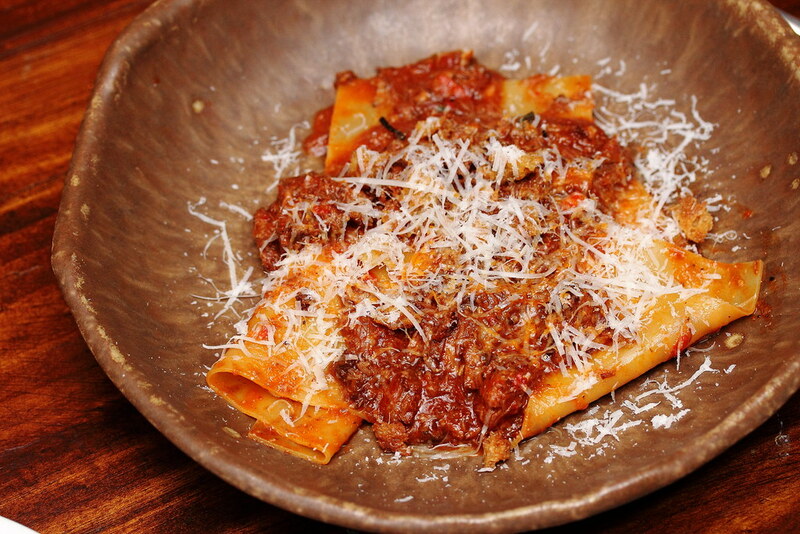 The freshly made pasta sheet is tossed with chilli paste and paired with 12 hours roasted lamb shoulder. It is then topped with parmigiano reggiano. The highlight has to be the flat and broad pasta sheet which comes with a delightful bite. Not to forget the flavourful and tender lamb ragu which rounded off the whole experience. This is a dish I will definitely go back for. 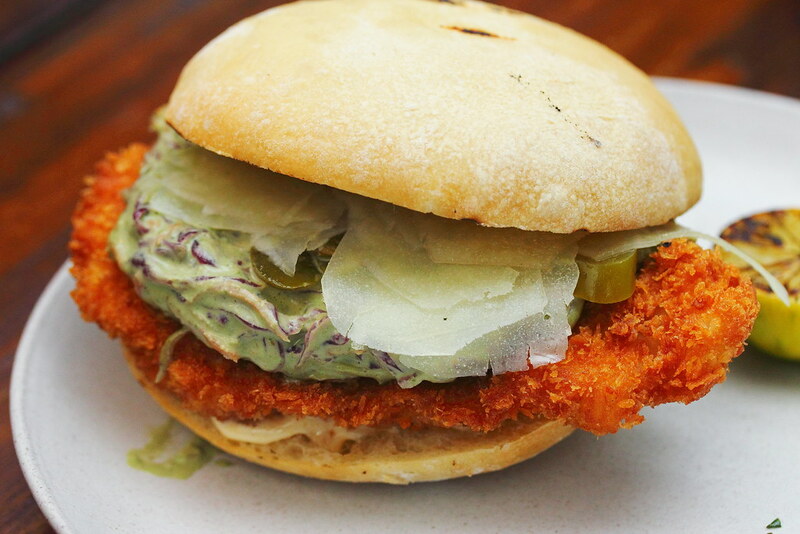 The Fried Chicken Sandwich ($18) is dressed with green harissa, coleslaw and pecornio cheese. It is actually quite fresh to have the combination for a chicken sandwich. The condiments did not steal the limelight of the tender and juicy fried chicken, but instead complement it. The focaccia texture like bread is another excellent choice for the sandwich. 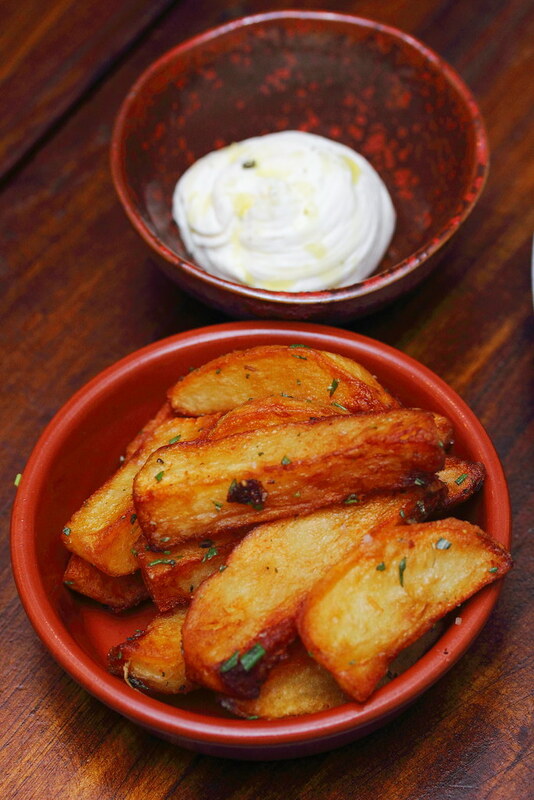 The instant the Hand Cut Chips ($9) is served, I could smell the beautiful aroma of the rosemary. The hand cut Sebago potato Chips are steamed and blanced in oil at 140 degrees and then deep fried at 220 degrees. Lastly seasoned with rosemary, sherry vinegar and Maldon salt. Dip it into the creamy ricotta sauce for an elevated enjoyment. If you still have space, you can wrap up your lunch with the Dessert of the Day ($10). 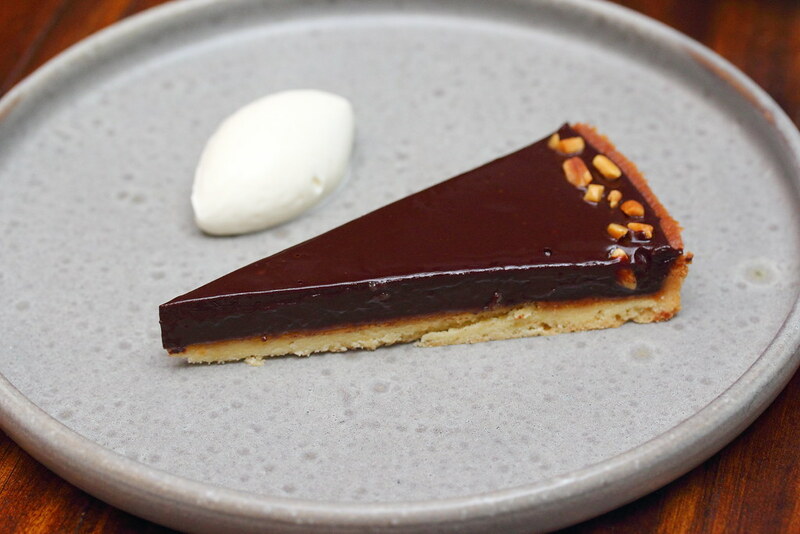 Ours happened to be the Dark Chocolate Tart which consists of 65% dark chocolate ganache and lined with salted peanut paste. A simple but yet elegant dessert to wrap up a wonderful lunch. I am glad that I have told time to check out Maggie Joan's new expanded lunch menu. The standard and quality of their food are still consistent and good. I would highly recommend the Cured Salmon Tartare, Fried Chicken Sandwich and Homemade Pappardelle if you plan to drop by the restaurant for lunch.